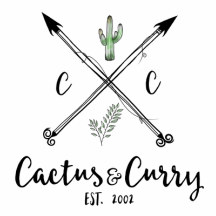 Email sign up form - Cactus and Curry - Get your bloom on! ​You'll get the weekly scoop packed full of inspiration & tips on health, travel, family & successful living. PLUS special offers & GIVEAWAYS!